With all of our talk about our new Whales exhibit, have we piqued your interest in whale research at the Smithsonian? We certainly hope so! Below, we’ve collected a few handy resources related to our marine mammal friends. 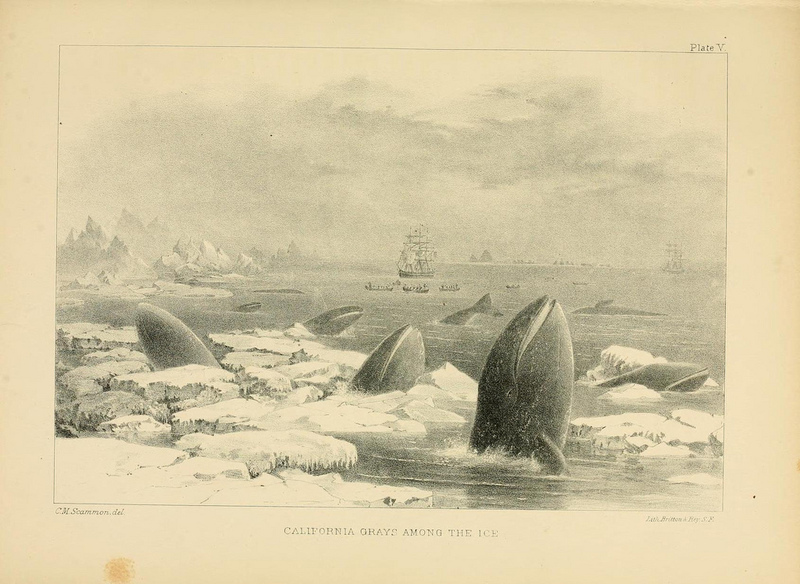 “California Grays Among the Ice” from The marine mammals of the north-western coast of North America,..
A collection of the books related to our exhibit, scanned in their entirety and available through the Biodiversity Heritage Library. If you can’t make it down to see the exhibition, flip through books from the comfort of your own home! A bibliography of related articles by Smithsonian staff. Many are available through the Smithsonian’s Digital Repository. 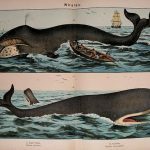 A history of 100 years of whale research and exhibits at the National Museum of Natural History. Did you know that the life-size model of a right whale in the Sant Ocean Hall has a name? Find out what it is and more about her story. A timeline of the evolution of whales on the National Museum of Natural History’s Ocean Portal. Fun fact: whales evolved “backwards”, from land to sea. 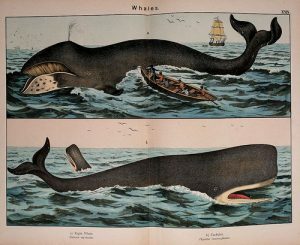 Right Whale and Catchalot from Natural history of the animal kingdom for the use of young people. 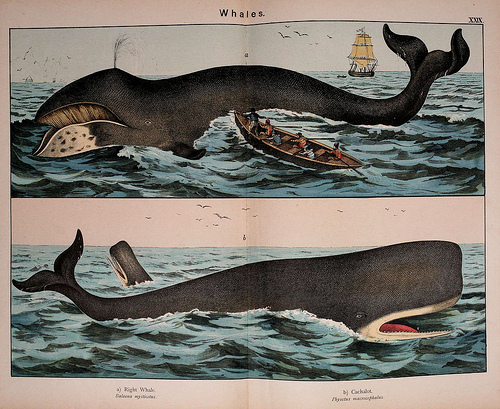 A set of engaging whale images from the Biodiversity Heritage Library. Some are funny. Some are sad. Some are narwhals!